pick up in readiness for 4th quarter sales. market trends begin to emerge. Demand from China has been reported as ¡®only moderate¡¯. 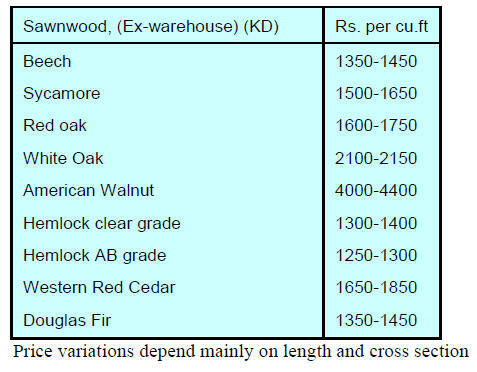 being mainly for higher grades and veneer grade logs. Partnership Agreement (EPA) with the European Union. trade barriers and open the markets of all signatories. set out procedures for this. have not yet formally commented on the new Code. 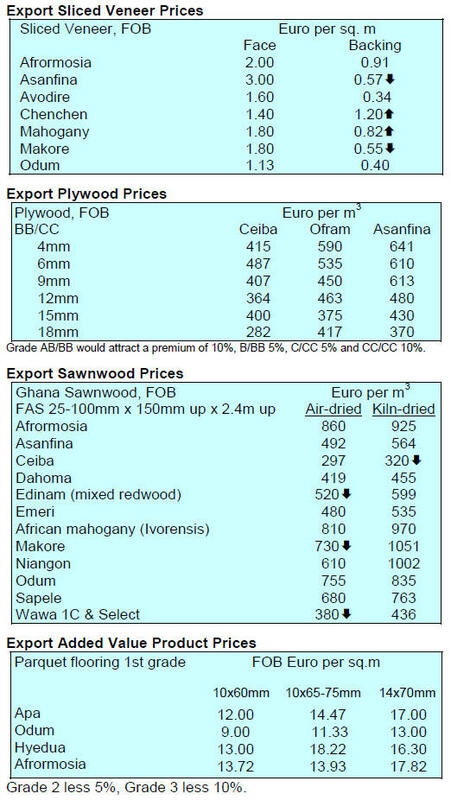 in Ghana¡¯ goods to the EU market quota and duty free. EPA was first mooted by Ghana¡¯s former President J. 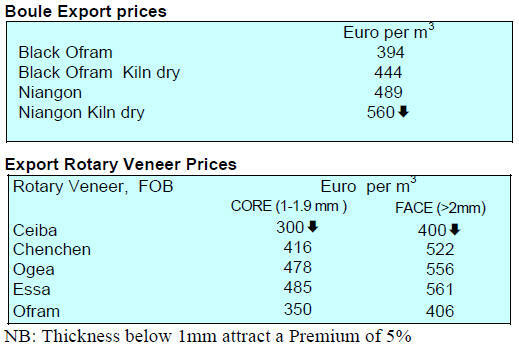 A.
the impact of open markets to EU suppliers. of total first quarter volume and value exports. to Asian markets trade to regioal markets weakened. 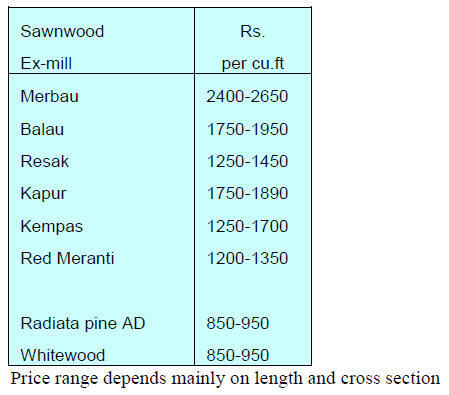 included 19 Malaysian timber exporters to India. three most attractive investment destinations in the world. in the United Kingdom, Dubai and China. 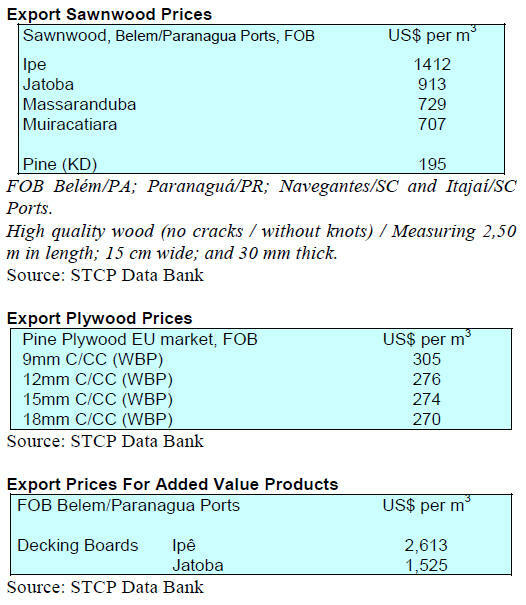 development of Johor's wood furniture industry. 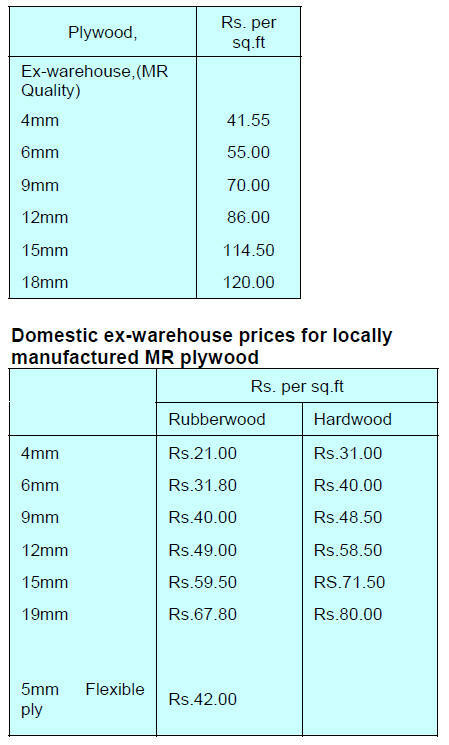 furniture manufactured in the state. 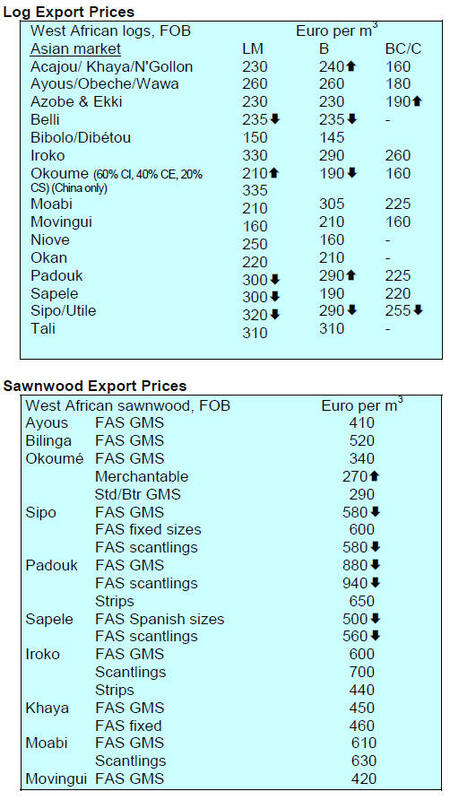 scheme for exports of verified legal timber. AMKRI and Asmindo said HIMKI Chairman, Soenoto. the US$5 billion export figure. exports heightens the risks to the economy. slower pace than Indonesia's overall economy. they can compete with imported goods. 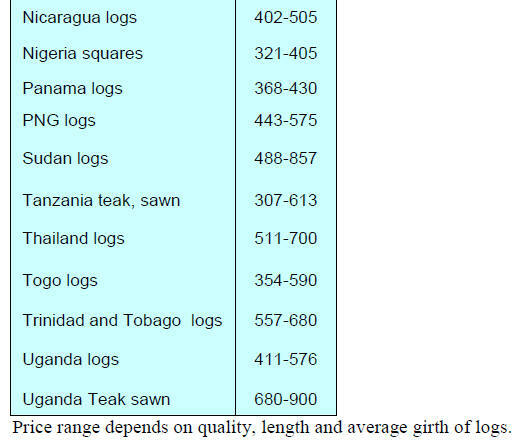 timber legality assurance system (SLVK). Ayeyarwaddy River just south of Bagan. capital of Bagan and was felt across the country. Our sympathy goes out to those affected. what volumes the MTE will be capable of delivering. The debate on the proposed total harvesting ban rages on. production and may have to reduce their workforce. harvesting and to eliminate the illegal cross border trade. some 30,000 ha. have been established. industry and size of investment. material which will be reprocessed for export. greater debate on resource sharing. compared to 1.62% in June. appreciation of India¡¯s housing sector. 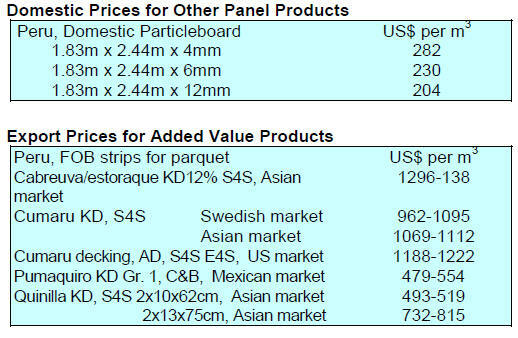 market for MDF is said to be around 30%. to last through the monsoon period. 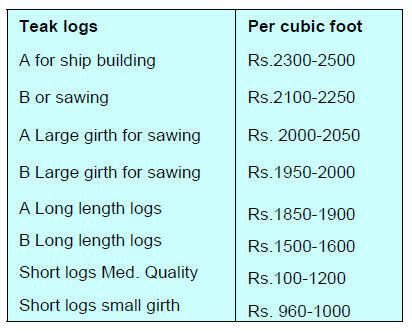 quality logs from Rs.500-550 per c.ft. there have been no reports of price changes. 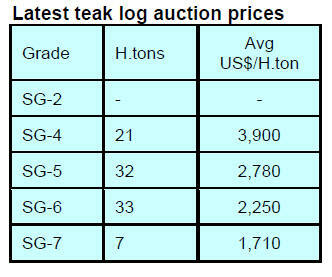 stability has allowed importers to maintain price levels. 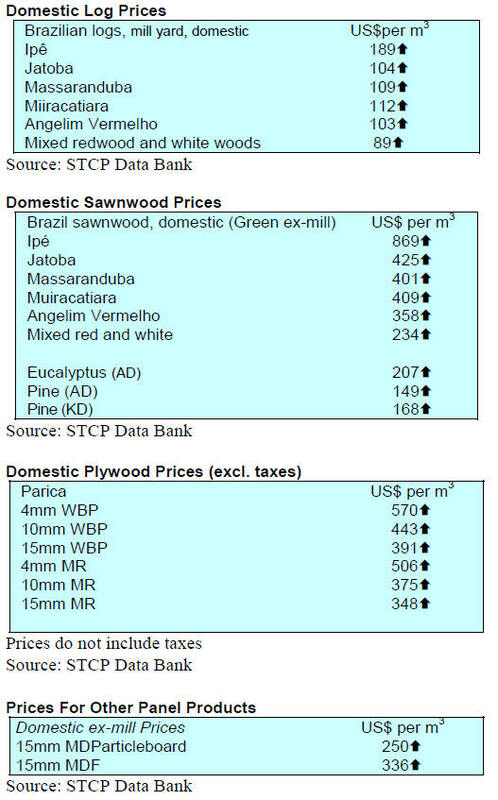 Ex-mill prices for sawn teak remain unchanged. and that prices remain unchanged since last month. milion tonnes between January and June 2016. China, which was the main market in the first half of 2016.
strategy to partially offset the decline in domestic demand. 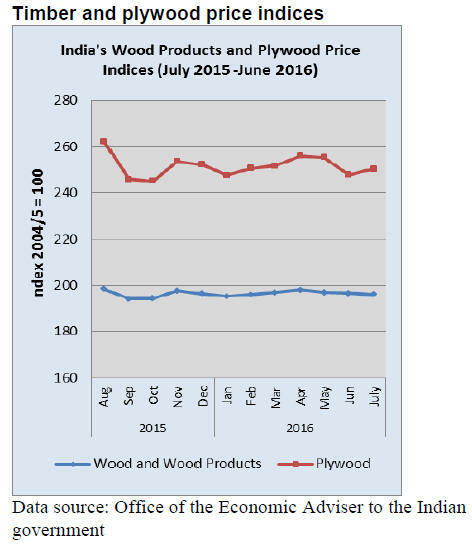 wooden furniture fell around 6.5% year on year. 23rd session of the FAO Committee on Forestry (COFO). investment in the sector to reverse the decline in exports. 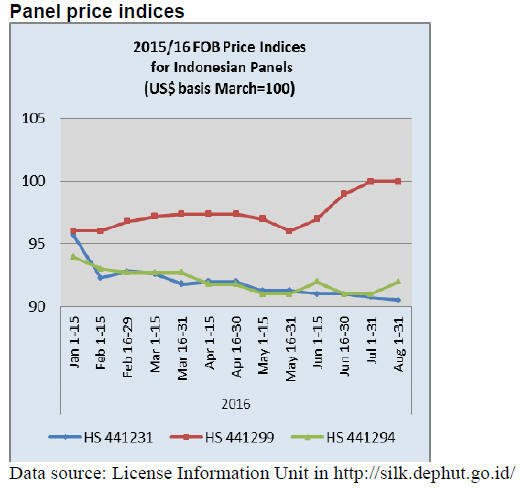 drop in furniture exports of 44%. development of SMEs and communities.